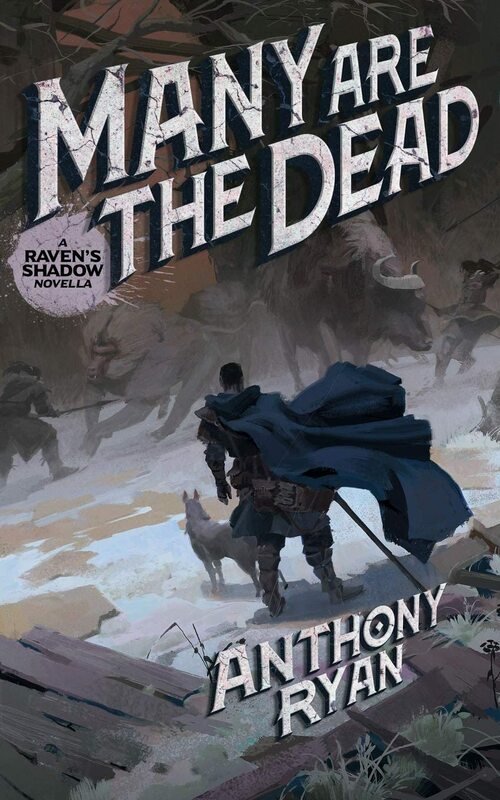 “The Faith requires all we have.”New York Times bestselling author Anthony Ryan returns to the Raven’s Shadow world in this prequel novella set ten years before the events in Blood Song. For decades the brothers of the Sixth Order have fought a savage war against the Lonak clans amidst the frozen peaks of their Dominion. When word reaches the north of a fresh outbreak of the dreaded Red Hand, Brother Sollis, the finest swordsman in the Order, leads a small band to a long-abandoned castle in search of a potential cure but discovers a far greater threat lurking in the mountains.Enemies become allies as Sollis leads an increasingly desperate fight against an inhuman enemy steeped in the power of the Dark. Praise for the Raven’s Shadow series:‘Ryan hits all the high notes of epic fantasy - a gritty setting, ancient magics, ruthless intrigue, divided loyalties, and bloody action.’ - PUBLISHERS WEEKLY.‘A new master storyteller has hit the scene.’ - MICHAEL J. SULLIVAN, AUTHOR OF THE RIYRIA REVELATIONS.‘Anthony Ryan is David Gemmell’s natural successor and epic fantasy’s best British talent.’ - FANTASY BOOK CRITIC.